Have you lost a pet or found a stray? Please let us know because we regularly get calls about lost and found pets. We are happy to help reunite lost pets with their owner by posting pictures and details, both on our Facebook page and in our waiting room. Microchip identification is an easy, painless way to have your pet identified should your pet be rescued by someone. A veterinary practice or animal shelter can find the owner's address by scanning the microchip. Notify the animal charities in your area as well as the animal charities in surrounding areas. Talk to your neighbours. Ask them to look in their garages, sheds, under decks, under cars, in bushes, in building rubble, etc. Put up posters in your neighbourhood, drop off flyers in mail boxes, and put advertisements in local papers. Include a recent colour photo if possible. Your cat or dog should have external identification. Microchips provide an additional source of identification but do not replace external pet identification. The more identification the better. 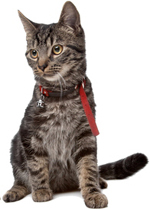 Keep a detailed description on file along with a current colour photograph of your pet. Pay special attention to details that will help with identification such as unusual markings. Make sure your pet is up to date on all vaccinations. Keep a list of local animal charities and rescue groups handy. 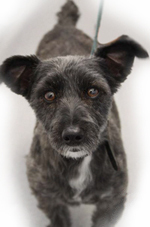 Take care not leave your pet in situations where he or she might be lost or stolen. 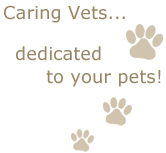 Notify the animal charity in your area as well as the animal charities in surrounding areas. Ask the animal charity or veterinary clinic to scan the stray to check for microchip identification. Notify veterinary clinics in your area and surrounding areas. Talk to your neighbours and ask them if they know who the stray belongs to. Put up posters in your neighbourhood, drop off flyers in mail boxes, and if possible put advertisements in local papers advertising that you found a stray. If the stray is sick or injured, arrange for it to receive medical attention at your veterinary clinic or local animal charity. Even if it is not sick or injured, it's a good idea to have a veterinary surgeon do a check up in case there are less obvious signs of trauma or illness. Keep the animal safe until the owner is found. Alternatively, take it to an animal charity for care. if you find a lost pet!